Misadventures in Motherhood: Fresh Beat Band Live GIVEAWAY! Ask your kids who these people are. I promise they will know. Do you have a case of The Mondays? Well, I've got something special to kick you out of that funk! 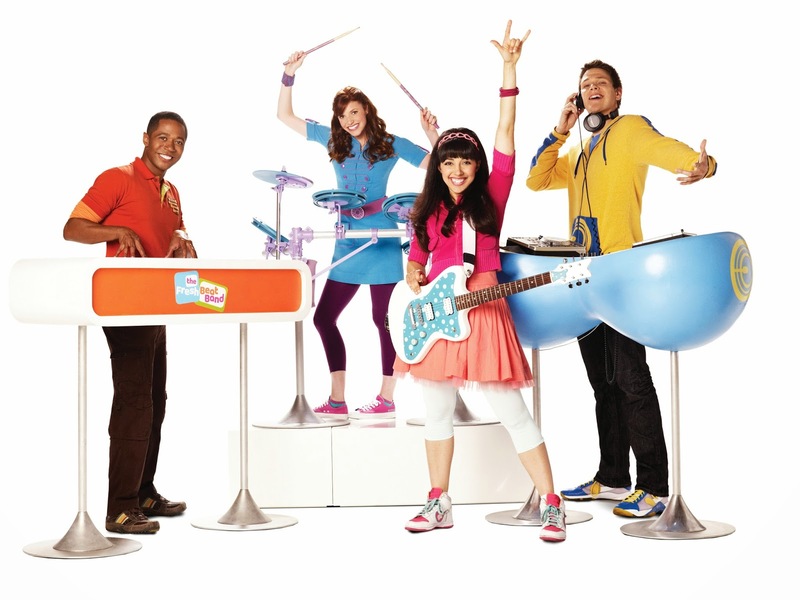 I'm giving away a family four pack to see The Fresh Beat Band LIVE here in Los Angeles. I know this is a poor substitute for the concerts you attended in your pre-baby youth, but just remember that the members of The Red Hot Chili Peppers are almost 50, Blondie is old enough to be your kid's grandmother, and The New Kids on the Block are decidedly not "kids" anymore. Ok, so you're probably not going to be dropping acid or hitting the mosh pit at The Fresh Beat Band concert, but your kids will think you're cool and that's really all that matters at this point, right? You have a choice of two dates and four shows, all of which will be at the fabulous Nokia Theater in downtown LA. The winner will be chosen at random thanks to my fancy new Rafflecopter widget-thingie and I will be happy to provide kid-friendly dining destination suggestions in the vicinity of the Nokia (yes, they all serve alcohol). You have until February 2nd at midnight (PST) to enter, and you can enter more than once - your odds are so much better than playing the lottery, and it doesn't cost you anything - so go ahead, just do it! In return for winning the tickets, all I ask is that you email me a photo of you and your adorable family at the concert enjoying overpriced cotton candy and glow sticks. Now rock on with your bad self.